OA#149. School before highway was put in front, about 1915? Description [on building] Public school, erected 1893. Transcription OA#149. 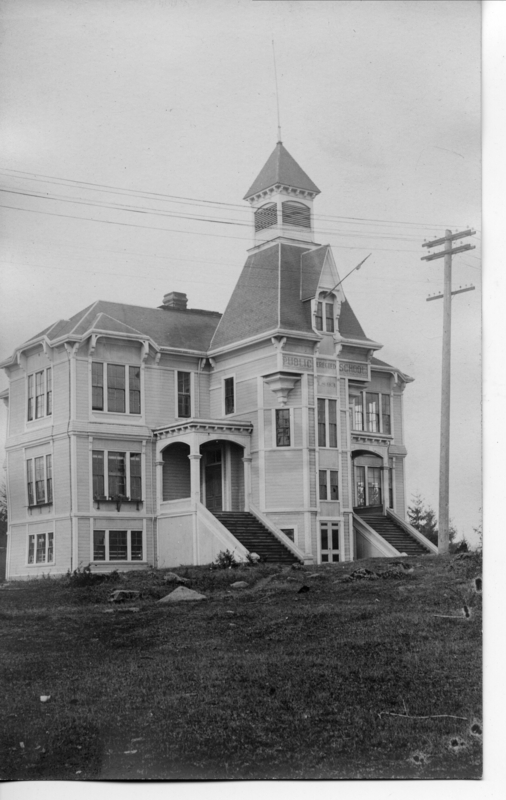 School before highway was put in front, about 1915?